A woman has been fined after she continued to claim £5,021.70 in illegal benefits without declaring she had received a lump sum pension. 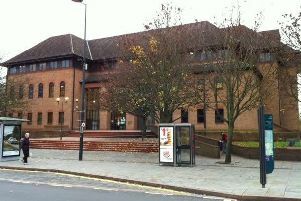 Chesterfield magistrates’ court heard on Tuesday, September 5, how Alison Higgins, 64, of Craggon Drive, New Whittington, Chesterfield, was found to have illegally claimed the money in council tax benefit and housing benefit when she had received a lump sum pension of £16,401.75 which she did not declare. Mr Matkin added that she had been receiving council tax and housing benefits as a result of having a low income as a self-employed person and she received benefits by automatic transfer into her bank account. Higgins stated during an interview that she did not think her pension counted when it should have been classed as an income. The defendant pleaded guilty to failing to notify the council between December, 2012, and April 2013, of a change of circumstances that would have affected her entitlement to council tax benefit. She also admitted a failure to notify the council between December, 2012, and September, 2015, of a change that would have affected entitlement to housing benefit. Higgins told the court she is not familiar with dealing with money and has difficulty filling in financial forms but she has begun paying back the illegally claimed benefits. She added that she has retired due to ill health and she has been looking after her sister who has suffered a stroke. Magistrates ordered Higgins to pay £195 in a fine, costs and a victim surcharge.